I love books that educate while they entertain. This is certainly true of Fifo “50 States” by Hayley Rose. 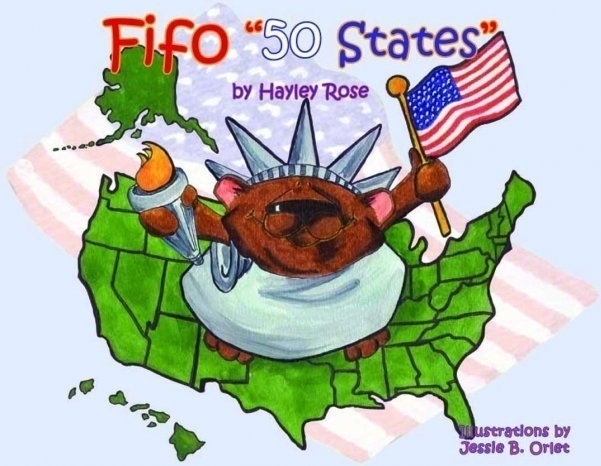 In this fun, rhyming adventure, Fifo the Bear invites children to join him on his imaginary tour of the 50 states of America. 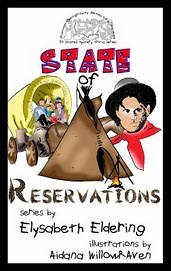 From Alabama to Arkansas, from Georgia to Indiana, from Missouri to New Mexico, and beyond, readers learn capitals, state flowers, native birds, and more. The states are listed in alphabetical order, which I love, and the repetitive rhymes encourage memorization. Each state’s page also includes the state’s motto. The charming illustrations by artist Jessie B. Orlet include each state flower, bird, and flag, but also other items the state is famous for, which creates an avenue for additional discussion. 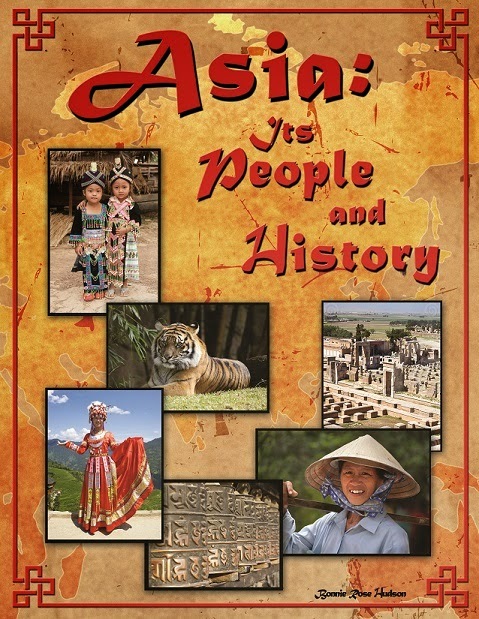 I wish I had this book when my daughter was studying U.S. capitals earlier this year. I highly recommend Fifo “50 States” by Hayley Rose. Learning should always be this much fun. Travel along with two homeschooling kids and their parents in Wright on Time: Arizona, Book 1. 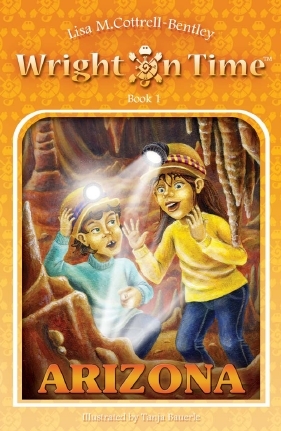 Nadia and Aidan’s first stop in their RV adventures lands them in the caves of the Arizona desert. Nadia wants to find minerals and see the rock formations, while Aidan is anxious to check out the bats. Along with their parents, Stephanie and Harrison, the kids go exploring and learn lots of great information about the area and the caves. Join the Wright family in their first adventure that involves a mysterious rock, an unknown glowing object in the wall, some strange voices, and a stale egg mite. I’m impressed with the first book in the Wright on Time Series by Lisa Cottrell-Bentley. The premise of being a traveling homeschooling family offers the opportunity for many interesting and fun adventures. While some books that attempt to educate and entertain sacrifice plot and natural dialogue in order to devulge information, Cottrell-Bentley does a superb job of making the discoveries lead to bits of information and the surrounding conversations are both engaging and flow naturally. I liked seeing the parents so involved in the storyline. Though the premise helps this along, some kid’s books have parents that play such an insignificant role that you can almost forget they have parents. I also felt that Tanja Bauerle’s illustrations added a great deal to this book, allowing me to visually get to know these characters. The only disappointment was that the level of conflict was a bit lower than I like to see. I can’t share many details without the risk of disclosing too much of the plot, but what I can say is that while there was conflict, it was too easily resolved for me. This would not, however, prevent me from reading additional books in the series. 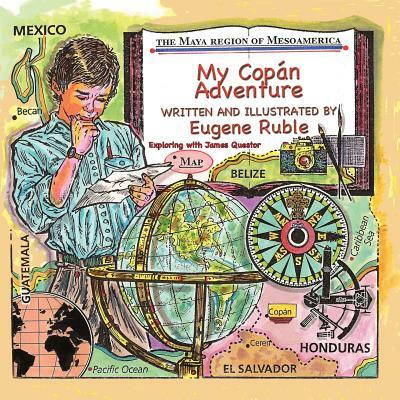 This book should be a huge hit with homeschooling parents and their children, but also with readers who enjoy fun, traveling adventures that allow them to explore their world from the comfort of their own room. I hope I’ll get a chance to read more Wright on Time books to see where the Wright family ends up next. Publisher: Do Life Right, Inc. In case you missed it, Lisa provided an excellent article titled “7 Ways to Make this Winter’s Family Vacation More Fun for the Whole Family” in November . You can find it here.